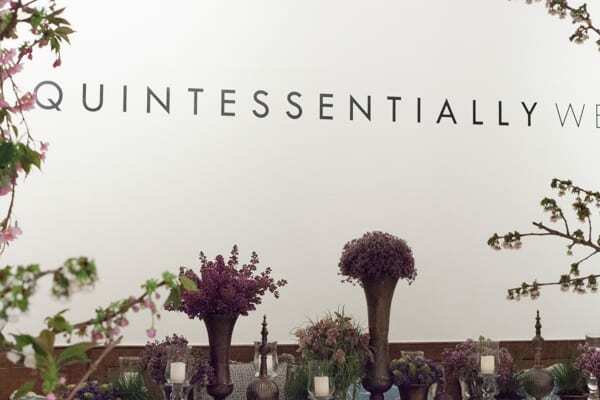 Last Friday, I attended the Quintessentially Weddings Atelier at Somerset House in London. It’s a spectacular showcase of wedding suppliers from florists and cake designers to photographers and wedding dress designers. 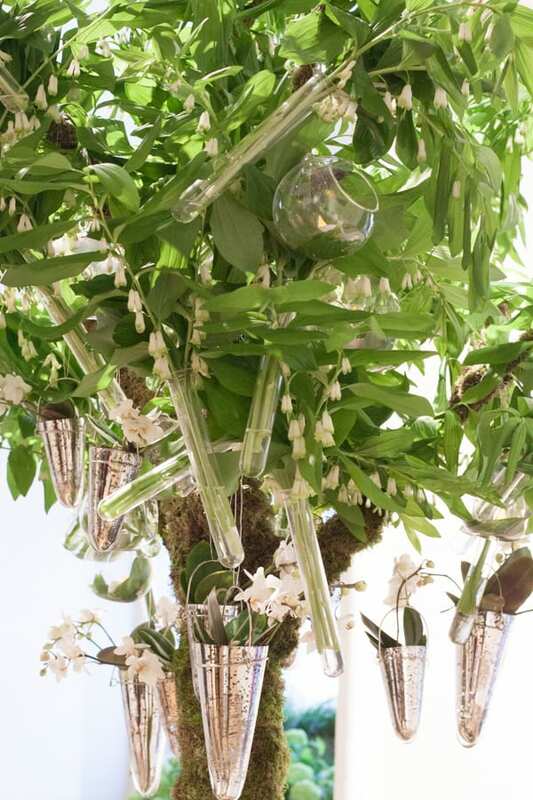 And today on Wedding Wednesday, I’m delighted to feature my photos of florist Mary Jane Vaughan’s incredible installation. 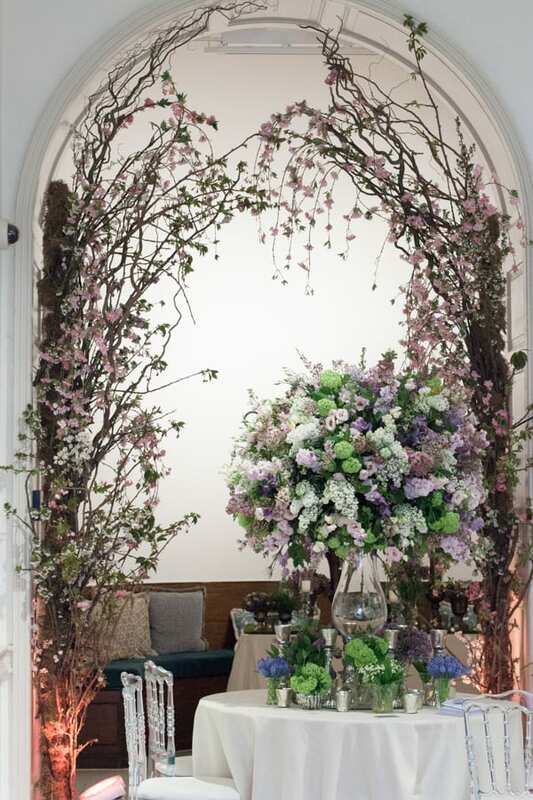 As you entered the building, you were greeted by two archways adorned with pink blossom. 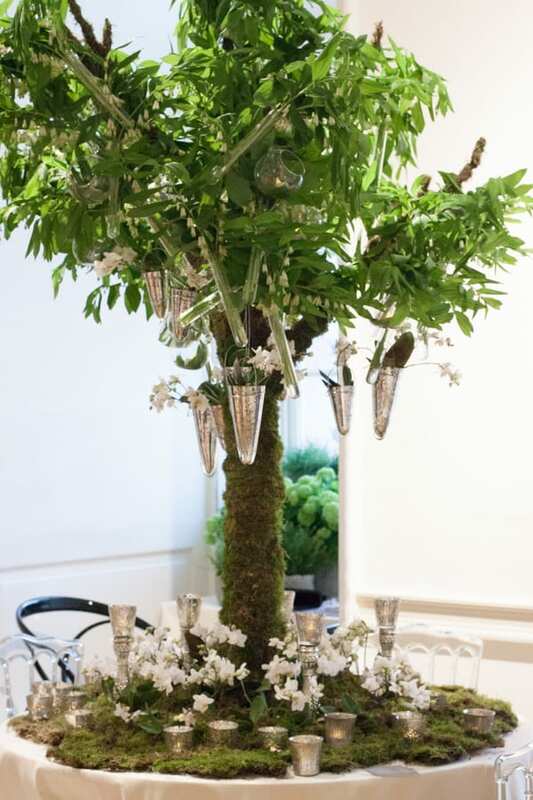 Mary Jane had created the breath-taking table design above in a pink, lilac, white, blue and green colour palette. 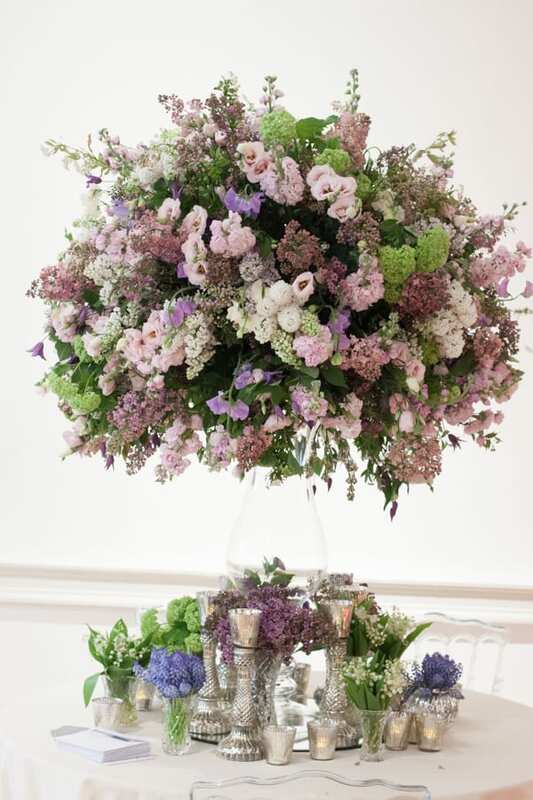 The flowers in the arrangement included sweet peas, lilac, lisianthus, clematis, stocks (which provided a wonderful scent! 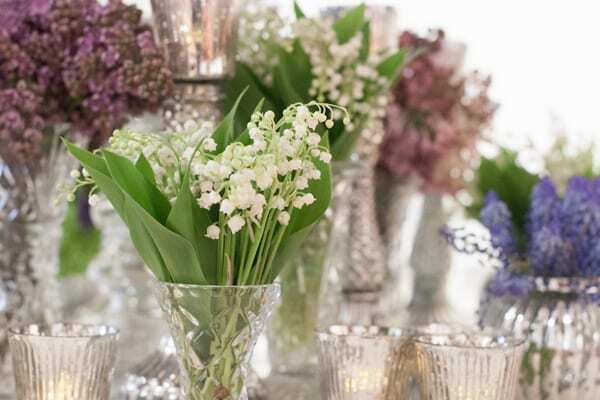 ), waxflower and guelder rose, with muscari, lily of the valley, lilac and guelder rose on the table. 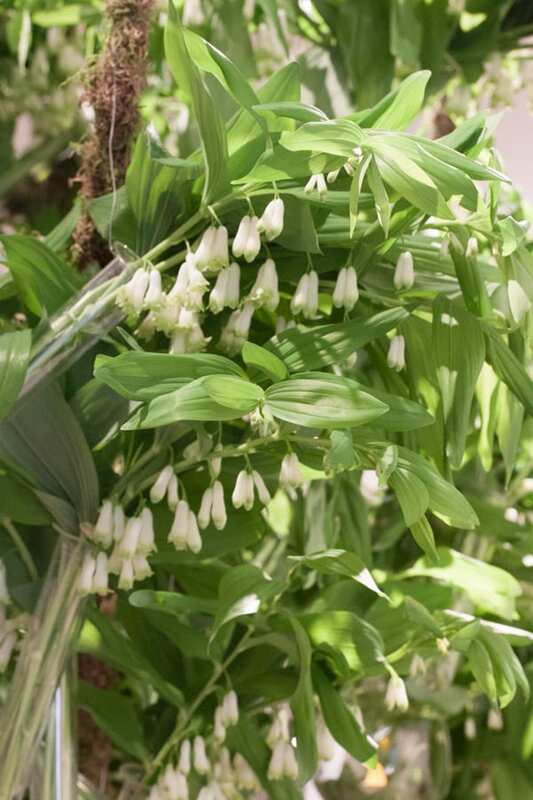 On another table, there was a white and green design with a profusion of Solomon’s Seal, together with hanging mini orchid plants and votive candles. And then there was an amazing tablescape in purple and blue hues too! 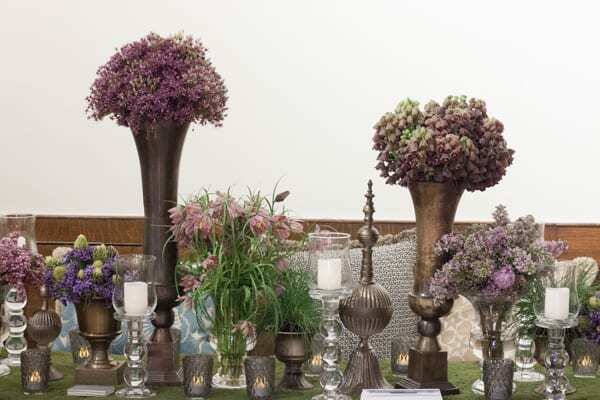 Fritillaria persica, Scilla peruviana, Fritillaria meleagris, lilac and alliums had been arranged beautifully down a long table in an assortment of antiqued metal vases. 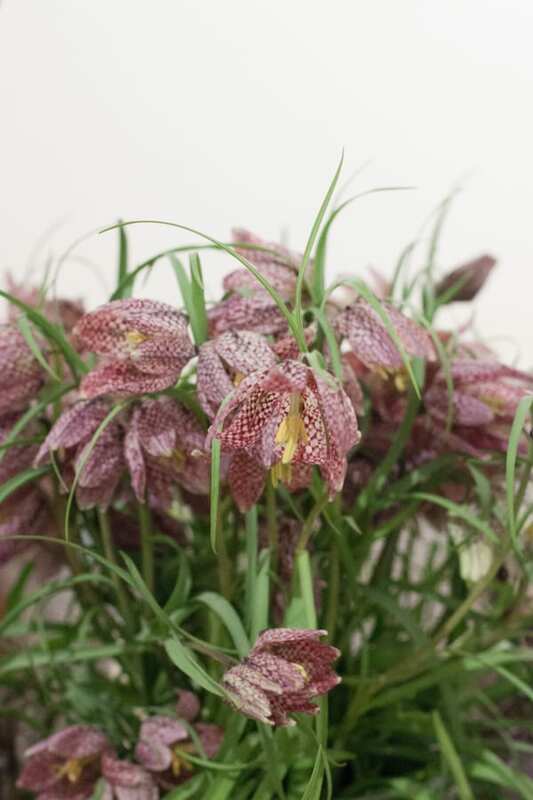 So, I hope you’ve enjoyed today’s blog post. There’s some video footage of the installation towards the end of my latest Flowerona Reflects video. 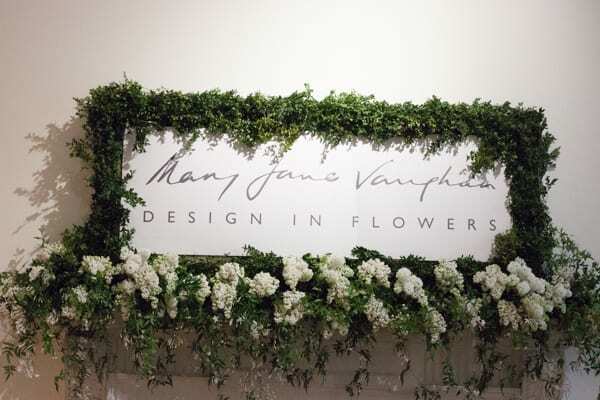 And if you’d like to see more of Mary Jane’s gorgeous floral designs, simply pop over to the Mary Jane Vaughan website. P.S. 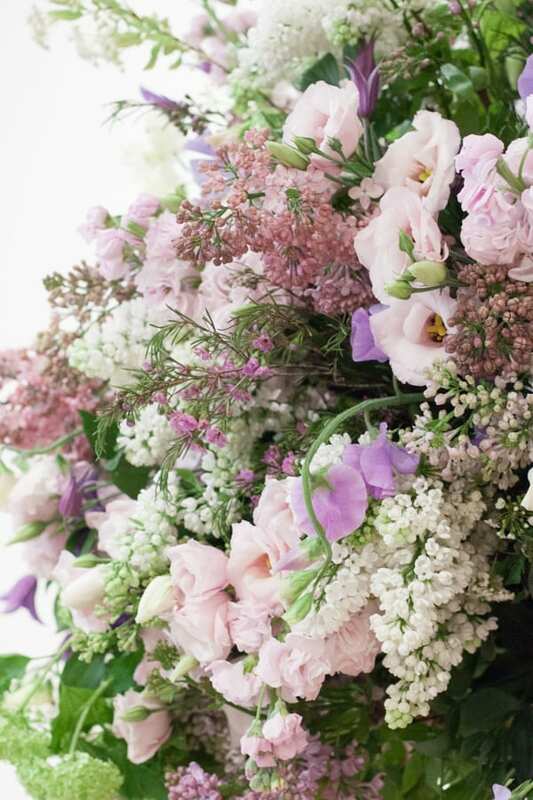 Don’t forget that the new #floweronawedding initiative on Instagram starts today! Here are all the details. 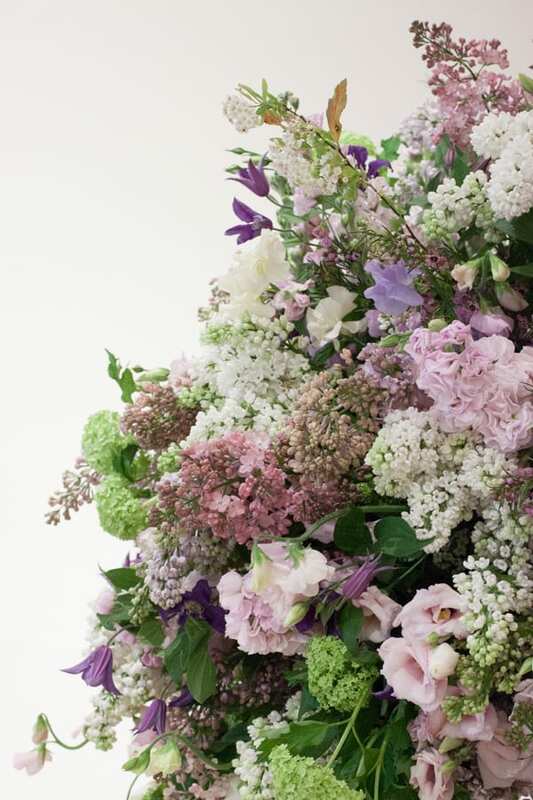 « New #floweronawedding initiative on Instagram starts this Wednesday!